2. 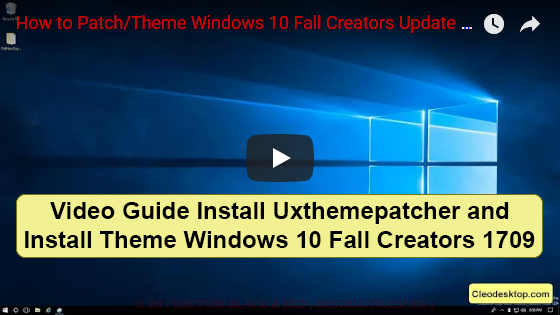 Run UltraUXThemePatcher_3.3.1 as administrator and and hit Install. 5. 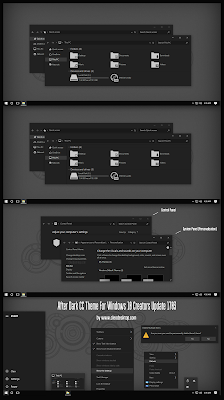 Copy all file in "Theme for Win10 Fall Creators Update 1709 " folder to "%windir%/Resources/Themes". is it necessary to install Theme Signature Bypass? Yes. If no need, I no post. This Themes are the best. Thanks!! 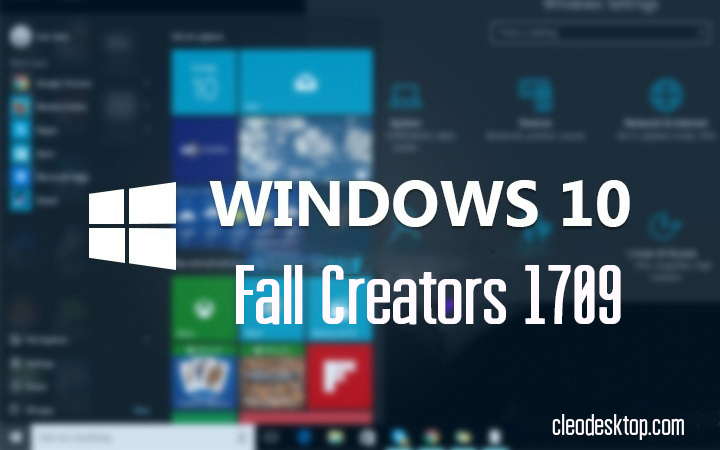 It doesn't work for most windows 1709! The RAR file cannot be opened. Can you fix it? Thanks Cleo, everything is cool now, no goddamn white thing anywhere:)) just sent you a screenshot. I'm just light sensitive, I can't stand white background on my monitor, you know. How do I use OldNewExplorer? 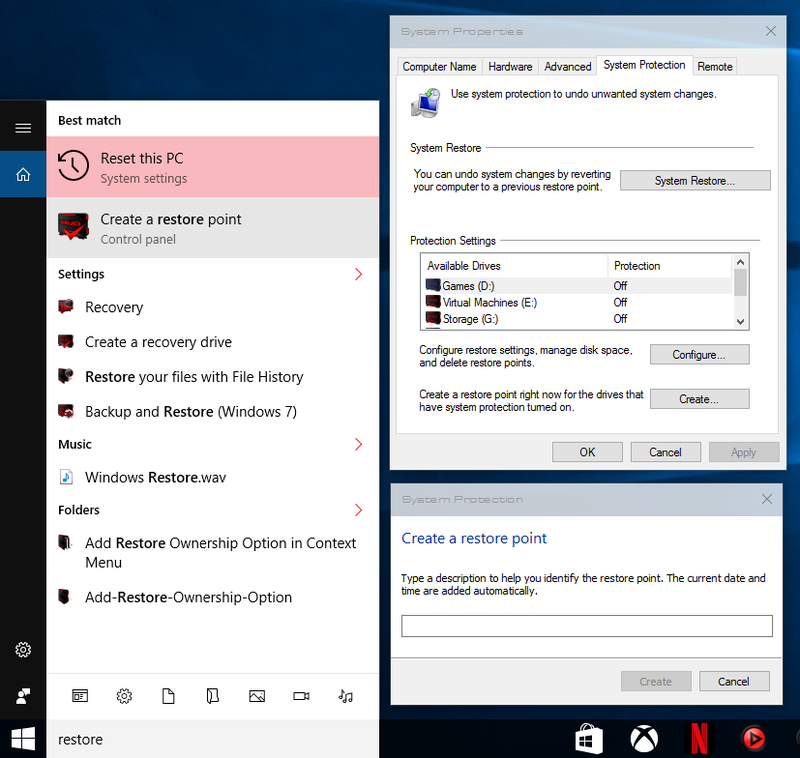 There is no image/screenshot of the settings for OldNewExplorer. Do I actually need it to use the themes? no more free theme for windows10 1709??? Thank you, it's really help. hello cleodesktop, I can not patch my windows 10 version 1709 and install UxTheme as an administrator, but it does not patch my pc. I can not install this. 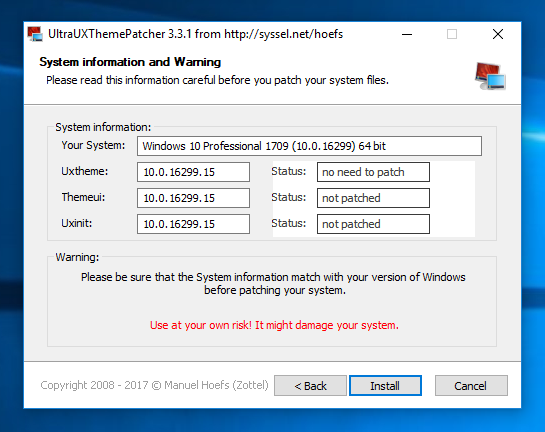 I get the message "Yor recognized Windows version is not supported at the moment" but in the bar at the top it says "Windows 10 Core 1709 (10.0.16299) 64 bit"
Thank you for buy my theme!